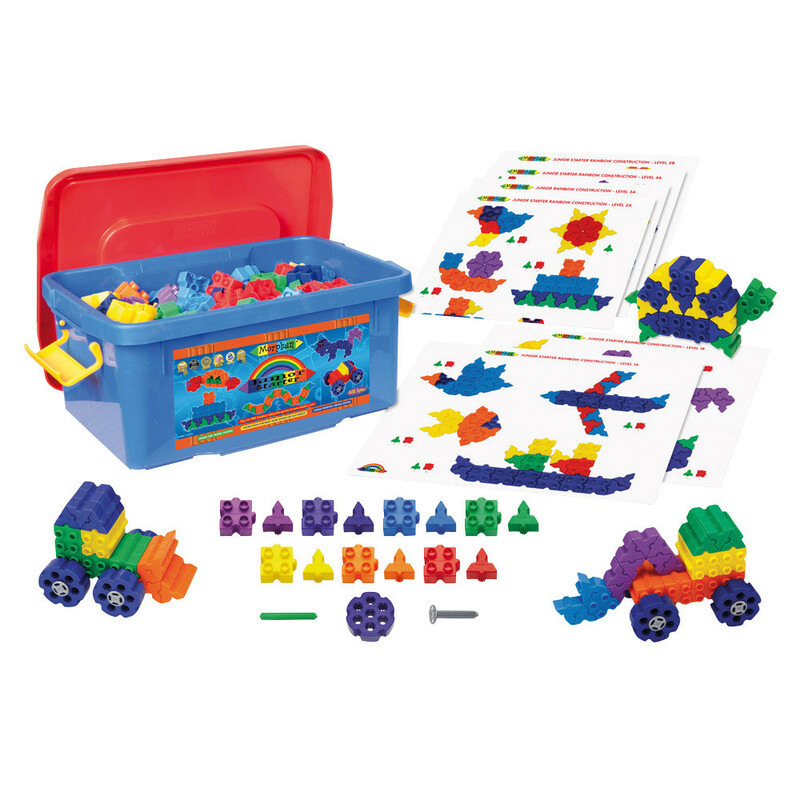 The Junior Starter Morphun Rainbow set comes with a selection of six instructions for different skill levels. The side joining squares and triangles allow hundred of models and shapes to be built, and the square bricks are compatible with most traditional brands with studs. Age: 3-6 years.